If you're in college, or have ever been, you know that there are a lot of books. Constantly hauling books to and from class, study groups, and libraries. Students of law are no exception, and will find themselves carrying around casebooks, the reading material that doesn't just lay out the laws, but give examples from specific cases. Needless to say, there are a lot of laws and a lot of casebooks. Connected Casebook hopes to alleviate some of those book carrying woes with their cloud-based solution that allows you to read, study, and outline casebooks from anywhere. We had a chance to talk with Vikram Savkar of Wolters Kluwer, the team behind Connected Casebook, to find out more about the service and how technology made it possible. Check out the interview below! Would you like to introduce yourself and your role at Wolters Kluwer? I am the General Manager of the Legal Education business at Wolters Kluwer. We are the leading provider of teaching and learning materials to the 200+ law schools in the United States as well as hundreds of other law schools around the world. As General Manager, I guide the acquisitions, editorial, marketing, sales, operations, and digital teams in light of an overarching strategy. Since we are part of a publicly listed company, we have to hit both short-term (quarterly and annual) and long-term (3 – 6 years) goals . . . balancing our time and strategy to achieve both of those is one of my core challenges. For those not familiar, what does your group at Wolters Kluwer specialize in? Since law schools still rely heavily on textbooks, they continue to be our core offering, and we invest a major part of our energy in recruiting and developing the finest authors in the legal world to help make complex legal concepts clear to the next generation. Our authors range from established thought leaders such as Richard Posner, Elizabeth Warren and Erwin Chemerinsky to up and coming law professors with a new and passionate point of view. Law schools, though, are evolving in keeping with the times, and are actively trying to incorporate non-textbook-based teaching approaches into their curriculum, including simulations, clinics, digital learning platforms, and flipped classrooms. This has created a new opportunity for textbooks publishers to become the key partner for law schools in their innovation efforts, and we are aggressively focused on capturing that space. We've done so through a combination of organic innovation, partnerships, and bespoke solutions. We've seen some really promising success so far, and we intend now to double down on the future. So, Connected Casebook, can you tell us more about it? Connected Casebook is the most significant success we've seen thus far in our efforts to help law schools evolve their teaching and learning model. Connected Casebook is a SAAS blended learning solution – print and digital – with the digital side (a website called Casebook Connect) by far the more powerful. Casebook Connect contains a rich ebook version of the print textbook. By "rich ebook" I mean that we do much more than just deliver a cloud-based PDF . . . we've designed a custom reading experienced that is specifically tailored to the needs of law students and that allows the ebook to be more functional than the print book. For instance, law students are usually taught to highlight their print books in multiple colors, with each color representing a particular type of legal concept. We've built that system of highlighting into the online reader . . . and then built upon that by allowing students to rapidly search and browse their highlights across the book by color to find common threads. As another example, law students are taught to build a semester-long subject outline as they read their casebook. This outline is highly structured, and built around specifically legal conceptual frameworks. We've built an outlining application right into the ebook, so that as students read, annotate, and highlight the book they are automatically building the kernel of their outline, with each nugget put into exactly the right place in the structure. Of course they then need to edit the outline to make sure it's truly meaningful, but by merging a couple of key activities (reading and outlining) together, we've made the logistical aspects of the reading process much simpler, leaving students more time for the truly important task of critical thinking. Casebook Connect also includes a study center, containing thousands of assessment questions, videos, ancillary explanations, and complex problems, all aligned to the table of contents of the textbook and all designed to make complex concepts as clear as possible. Using the study center, whenever students encounter a concept in the book that they find challenging, they can work through this supplementary material and (hopefully) arrive at mastery of the subject. Whereas the outlining application saves students time, the study center makes students successful. I could go on – we've designed dozens of features like this – but the general message is that our ebook is really not an ebook . 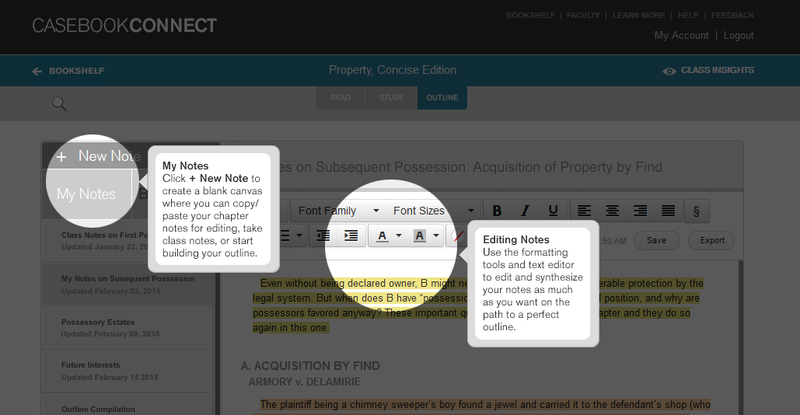 . . it's a workflow solution for law students. As it grows, Connected Casebook is not only helping law school classrooms incorporate digital learning into their curriculum, but is also helping evolve us rapidly from a traditional print-oriented publisher to a 21st century educational provider. Did your time at Nature Publishing and the release of their interactive textbook, Principles of Biology, help with the transition to Wolters Kluwer? What did you learn from the release of that interactive textbook? I think so. When we launched Principles of Biology, we were a new entrant into a hotly contested market niche (life sciences) dominated by some very large publishers, and we knew that meant that our product had to be not just a better mousetrap but a much better mousetrap. We dug deep on the product design side, challenged our own traditional wisdom, pulled selectively from other markets, and eventually launched a new kind of ebook – the interactive textbook – that was distinguished for its combination of rich student-centered functionality and simplicity. While our market position here at Wolters Kluwer is quite different – we are one of the large publishers in the space – and therefore our overall business strategy for the product is a bit different, the product design insights that we learned during the Principles of Biology experience have been relevant to the learning experience that we've created in Connected Casebook. Connected Casebook is quite different and has evolved along its own path . . . but past experience always does give you a running start. How has technology, and cloud based platforms, helped the advancement of Connected Casebook? 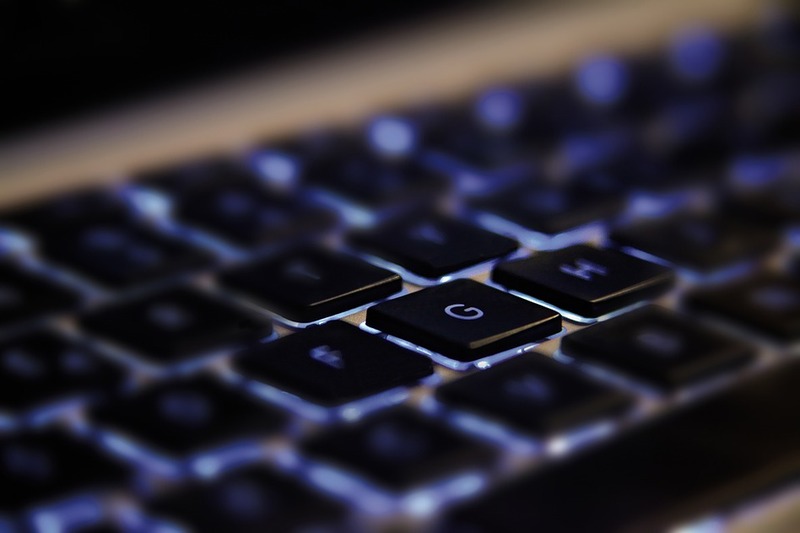 The cloud has shifted the business case for educational technology in some very positive ways. Education technology is quite different from consumer spaces, like gaming and social networking. While I'm sure there are some strange usage spikes in those niches, for the most part usage is pretty predictable: people hit their social networks and games every day (or five times a day), and usership tends to grow steadily over time. In the education space, on the other hand, your entire userbase disappears every three or four years (when they graduate), and you have recruit a new tranche of users. And usage spikes wildly up and down within each year, and even within each month or week. In the first few weeks of the semester, for example, every student hits the application frequently. A few weeks later, they have stratified out into tiers, with a handful of power users, a large middle group of steady users, and a handful of low-intensity users . . . until mid-term exams, when usage suddenly spikes again for all users. With the cloud today, all of this is so much simpler. I won't go into details because they are familiar to all of your readers, but today the idea of a sudden spike in users is only a happy thought for us, with minimal anxiety. And our costs are fairly well proportionate to our customer base. The business case is much more attractive, which allows us to focus the vast majority of our investment and time on what really matters: ensuring the user experience is transformative for law students. To switch gears, what drives you? It's obvious you have an interest in the education system, what motivates and continues to push you forward? If I were to list the greatest sources of gratification in my life, looking back, learning would be very near the top of the list. Learning of various kinds – whether in academic subjects, or in practical skills, or arts, or sports, or just about any aspect of life – has enriched my time here immeasurably. I know that sounds sentimental and grandiose, but I mean it! As a result, I really do care very deeply about helping students feel like they can be successful learners. I've met too many bright students in my career who felt daunted by a class they were interested in and who eventually dropped out or switched out. I think that's avoidable. If those students had access to some more resources of various kinds – peer learning groups, tutors, digital learning tools, stronger learning skills, and so on – I think they could feel confident in and succeed in the same courses that today they find to be a struggle. What we do is only a small piece of that solution, but it is a part of it . . . and that gets me out of bed. Anything you'd like to add before closing? We've talked a lot about the Connected Casebook, which is our premium new offering right now, but we do have a number of other potentially impactful new programs we're in process of taking to market. One example is our relationship with iLaw Ventures, the leading provider of digitally-based distance education in the law school market. Together, we're delivering online courses to more than 35 law schools today, and are rapidly expanding. Fully online legal education is one of the most intriguing developments in the market today, so we're very excited to be on the ground floor of it. Another example is our relationship with Examsoft, the leader provider of digital assessment software to law schools. Together, we're launching a turn-key comprehensive formative assessment program across most major law school classes, allowing law schools to track student progress more granularly (which should allow them to evolve their curriculum in more informed ways). And there's lots more to come as well. At Wolters Kluwer, we are deeply committed to simultaneously maintaining excellence in our traditional editorial activities and aggressively incubating new digital learning models. That's not an easy path, but with the capital, expertise and internal synergies that come from being part of a global corporate leader in expert solutions, we've got the wind behind us and are excited by where we can push. We'd like to thank Vikram for taking the time to answer some of our questions, if you'd like to find out more about Connected Casebook, check it out here.